After Loki summoned Bor (the first king of Asgard) back to Earth, the angry and confused deity began wreaking havoc across New York City. Thor recognized that he would need help, so he summoned the Avengers (by declaring 'Avengers Assemble! '), but he did not get the Avengers he was expecting. 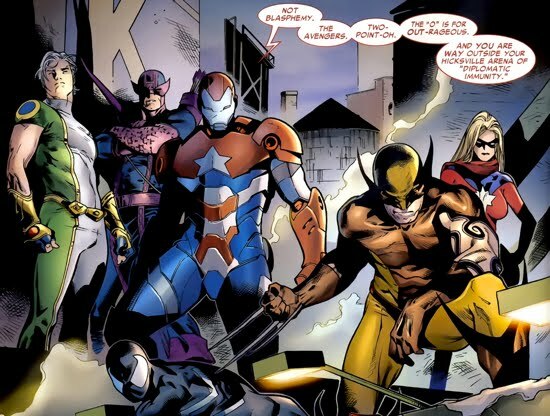 Instead, Norman and his team arrived, and the Iron Patriot was dead-set on making sure this destruction ended immediately. Norman's Avengers tried to subdue the two Gods, but were completely ineffective. 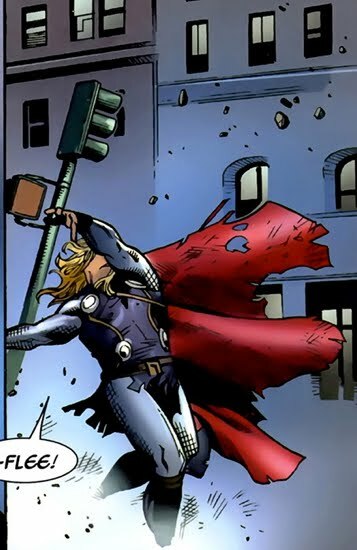 Thor, in attempt to spare the Dark Avengers, suggested that that they flee the scene. When they refused to leave, Thor made them leave. This was a very brief interaction between Osborn and Thor, occurring at the beginning of Norman's reign. 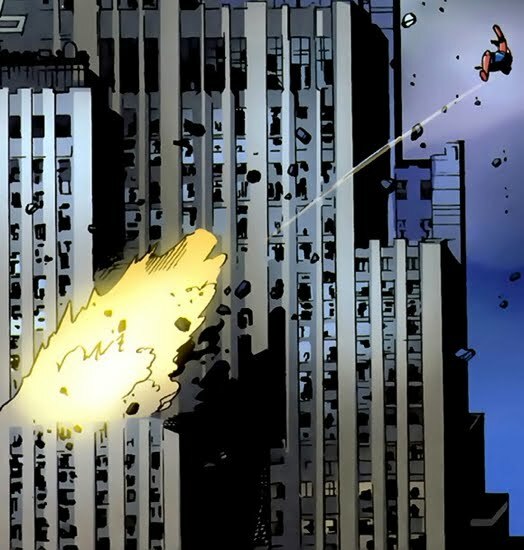 Thor would have a significant impact on Osborn's downfall after he lays siege on Asgard. However, those events are covered in a different section.